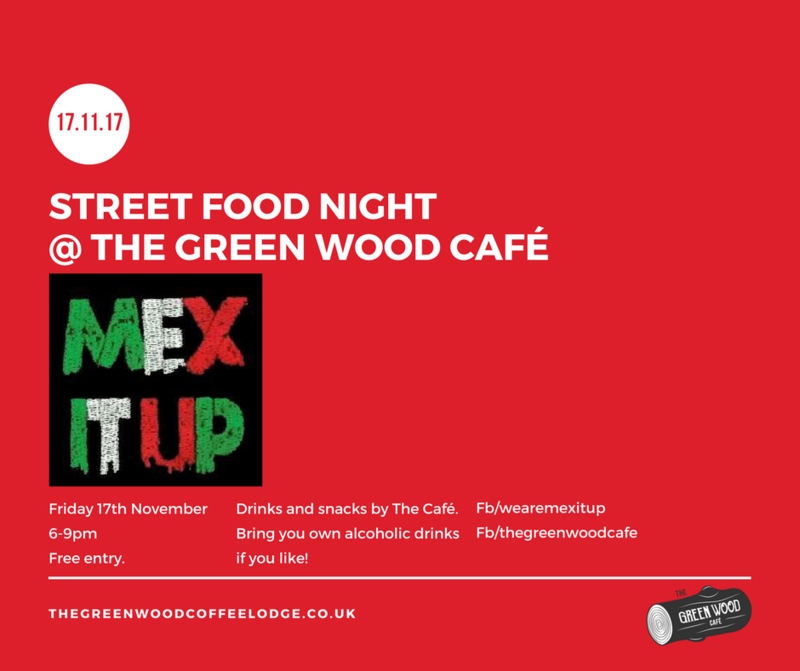 For our second Street Food Night we have the Husband and Wife team from Bridgnorth, 'Mex It Up' with their tasty vegan tex-mex grub! From inside the lodge we'll be offering our awesome coffees and soft drinks, as well as our cakes for pudding (all vegetarian, with many Vegan & Gluten-Free options). We won't be serving alcoholic drinks this month - but feel free to bring your own!